>>> I joined Career Quest few month's before my interview. Sanjeev Kabeer sir provided genuine, personalised guidance with right orientation for civil services interview. He helped me evolve as a human being and helped me work on my shortcomings. His approach, knowledge and methodology has helped me a lot in my preparation and gaining more confidence to face the civil services interview. I wish him all the best and happy to have him as a friend, mentor and guide for life. 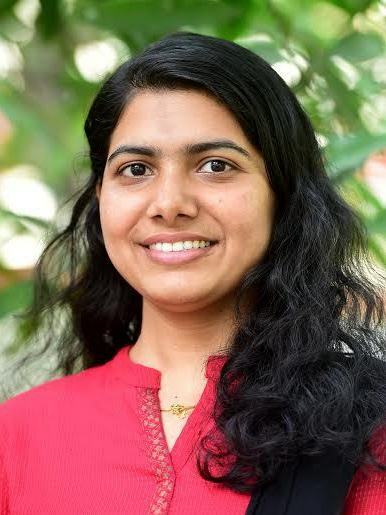 >>> Dear Sir, I still remember the first class I had with Kabeer sir, I realised I was in safe hands he gives personal attention to every student . Within a span of 7 days he brings out the best in you . His classes and mocks both helped me to refine my personality. He is the best in this field , and I am so grateful to him . Without him I would have never accomplished this rank. Thanks a lot sir! 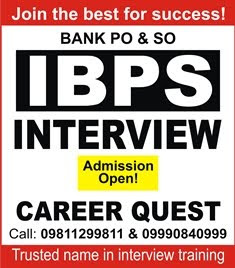 >>> Hi this is JAGAN, IFS with 27th rank of 2013 batch,CAREER QUEST INSTITUTE is the institute which gave me a confidence today to get selected in IFS exam,Sanjeev Kabir sir thought us what is interview is all about,he built confidence in us to crack this with top rank,he guided many of us almost 80% of us got selected in the year of my selection.he examines all positives n negatives we have personally n he corrects all your negatives,his mock tests are awesome which makes you perfect,i request all who are preparing for civils as well as other interviews to join his institute for your better future...thank you. >>> Hello everybody! This was my first ever interview in my life and i didn't want to appear for it without any preparation. Somebody suggested me Career Quest and Sanjeev Kabeer Sir's guidance helped me to sail through the interview easily. Thank you sir! >>> Hello everybody! Yesterday CAPF(AC) 2013 result declared and I got AIR 17 :) Last year I took Interview classes in Career Quest. 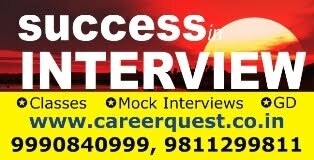 >>> Career quest has helped me in the most crucial phase of my journey to success-the interview. I joined CQ after Civil Services Main Exam-2016. The detailed orientation regarding the different aspects of interview-posture, timing, structuring the answer, accepting your ignorance with grace etc. gave me an in-depth idea regarding interview preparation. Though many people tell that interview is all about luck, I feel there is a lot to be prepared for interview. Unlike written exams, the interview is a personality test rather than knowledge test. So, it involves questions that you may not be able to answer. Here, Sanjeev Kabeer sir’s analogy of interview to a cricket match is praiseworthy. There will be some balls in which u have to just defend the wicket, some in which you can hit a six and even others which you can get a run or two. It is all about understanding the nature of the question and answering accordingly. 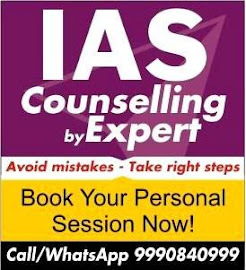 Kabeer Sir’s vast experience in interview guidance is worth noting because all other coaching centres just let u take a mock, while sir takes into consideration each and every aspect of the interview. He helps us to prepare for questions from our hobbies to home state to cadre preference in a comprehensive manner. This helped me to refine my answers in the final interview. Thank you sir. I wish success to all aspirants and am sure that CQ will help them just the way it did for me. It was really good guidance provided by Career Quest. >>> Sir. without ur guidance and support i couldn't achieve this. i didn't have any idea about interview because i never faced it before. if i didn't join you i couldn't make it as impressive as it is and couldn't become excise inspector. Thank you so much. >>> Recently UPSC released marks of CAPF 2013 successful candidates, I got 104 out of 150 marks in interview. >>> Sir, thank you for your valuable guidance!! It was an enriching experience and helped me all through my interview journey!! Glad to have a mentor like you! Sir, your invaluable guidance and advice has helped me all throughout!! It wouldn't have been possible without your inputs. >>> SBI PO finally....credit goes to kabir sir.... ur guidance is what that leads me to score highly in interview and GD... The best thing is to learn dialogue delivery that interview is all about.. thank you so much sir.... sometime knowing every answer is not suffice its all about our presentation ...that what u've taught us sir..
>>> Hello, my name is Amit Nandwani selected for both Probationary officer and clerk. I would like to thank Career Quest Institute and Sanjeev Kabeer sir because he gave me a lot confidence about how to give the interview. Sanjeev Kabir sir taught us what the interview is all about. He built confidence and provided the necessary information to crack the interview with top marks. I got 70 marks in my interview. In mock interviews sir told me about the positive and negative points about me and mock interviews realy helped to built the confidence. After joining the institute we came to know that what is to study, how to study, how much to study. Thank you Career Quest and Thank you Sanjeev sir. >>> I, RANVIJAY KUMAR, from Indian Navy, got selected for stores officer in DRDO through UPSC. I have been selected but it has been possible only due able and selective guidance by Sanjeev Kabeer sir at Career Quest Institute for Interview Training in Delhi..
Sir, in UPSC, especially for recruitment type entry, every candidate has got same level of knowledge. So, for selection, getting better marks in interview is mandatory and this requires cautious approach before panel. Ur teaching methods and personal guidance became handy for me. The mock test and it's analysis given by u kept me confident throughout interview. Questions by the panel if even not known by me, had a clue hidden to be answered. This trick has been well taught by u. U understand the nerve of panel and train us to face them. Thanks sir. May u live long and so goes with ur institute! Thanks again sir, thanks God to creating a situation when Mr. Sanwarmal gave address of Career Quest coaching. Delhi especially Dr Mukherji Nagar has got high rising buildings and uncountable campuses, but career quest coaching centre has distinct ability to make candidates successful. I learnt, interview is not a factor of luck and does depend upon the mood of interviewer: it's totally an art. It can be learnt, taught and nurtured. >>> My name is Suman Saurav. I got selected in Assistant Provident Fund Commissioner (APFC) 2015 with 15th rank. I have done BE (Marine) from M.E.R.I., Kolkata. My experience with Career Quest was great. 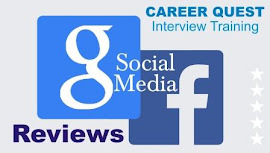 >>> Interviews are not about questions and answers,its about how you answer the questions, its about having personality traits to be gauged of candidate that would be demanded by job profile. I got my first interview of life this year, that too conducted by upsc. I was confident that having prepared for civil service exam, I would be at little ease but I was also reminded by a friend that in competition, no stone should be left unturned. I was advised by an Assistant Provident Fund Commissioner to try this Institute as this Institute got him selected. My interview was on 11th September and I checked into Institute on 4th September. Attending classes twice a day upto 9th and having two mock interviews, 2nd one held on 9th, I learnt a lot about myself! I was told that performance couldn't improved overnight but presentation can be. While I was in upsc premises, I could see subtle difference between me and some of my fellow candidates- be it regarding dress code, or facial presentation ( saw one sporting rough beard). In board room, interview lasted for about half an hour and in that half an hour I was alert enough not to venture into my weakness. After that I was confident enough to have attempted my best. >>> Before joining Career Quest I was skeptical to join it. Because I was feeling following the flock of ship to one classroom in the market of UPSC. I was further questioned by my conscience - इंटरव्यू के भी कोई क्लास होते हैं क्या ? सर आपसे मुझे जो मिला है उसकी कीमत मैं आपको चाहकर भी लौटा नहीं सकता . Yours obediently. >>> Interview course by Sh. Sanjeev Kabir Sir is a great confidence booster before the final day. The USP at Career Quest is their focus on nitty gritties of the interview process in a simple and step wise manner. The do's and don'ts of interview as told by Sir are awesome. Another plus point is that the staff is very cooperative . With reasonable fees Sir is providing the best opportunity to aspirants to hone the skills required to excel in interview. Perfect time to join is a few weeks before interview so that one can work upon inputs. But I joined only 10 days before my interview , sir gave a very GENUINE assessment of my potential score and I will say Kabir Sirs skill is unmatchable in this . Sir told me 93 ,I got 95 and with only 9 days work. >>> Thank you for sir for your appreciable guidance. I joined your institute in 2014 for NICL interview. Recently, I had joined your interview classes for RAS interview. My interview was on 12th September. With your blessings and God's grace, finally I have selected in the RAS 2016.Under your guidance, I learned how to improve my personality, how to properly represent myself in front of interview board. My interview was at the end. I was a little nervous sitting in the interview hall but confidant from the inside, no matter what circumstance I would be able to represent myself well. My thoughts and views were very clear when I was answering the questions of the interview board. I was very confident after the interview ended. So the result of interviews proved Kabir sir's faith and my hopes and dreams. With gratitude I am thankful to Kabir Sir, with your help I have transformed my dreams into reality. You listened carefully to all my problems and helped to solve them.